Heather Brady is an accomplished sales leader with over fifteen years of proven success in building and developing top performing teams. Heather is National Director, Sales at Yardi Canada, Canada’s market leader in integrated accounting and property management software. In her role, Heather is responsible to foster key client relationships, expand market share and grow revenue in the Canadian Market. Heather has expertise in the areas of, performance management, organizational development, strategy creation and execution. She has a reputation for building strong cross-functional relationships to achieve company objectives. 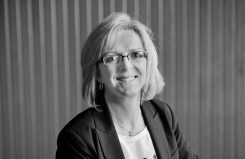 Prior to Yardi, as Director Sales, Rogers Communications, in addition to meeting her sales responsibilities, Heather led the sales organization through all aspects of the largest planned software implementation in the company’s history and was lead on the integration of the sales organizations of Rogers and Sprint Canada after that acquisition. Heather is known for her passion for gender equality and her volunteer work in the area of women’s development. Heather is an active member of ExeQutive; a group focused on Corporate LGBTQ leadership in Toronto and has been a member of their steering committee for over six years. Heather holds an Honours BA in Business and a Project Management Professional (PMP) Certification. She loves to run, cycle and discover the world through travel.